With the growth in popularity and demand for custom children’s photography, one very unique niche in the industry has begun to emerge as an art form of its own–the photography of our very smallest clients, the brand new members of our families–newborns. So often, if people haven’t been exposed to the fine-art style of newborn photography, they might shy away from this rare opportunity to capture the fleeting moments of their new arrival’s first days. A lot of parents might picture a red-faced, grimacing baby swallowed up in clothing that is almost certainly too big for them–propped up in front of a backdrop, or carefully wedged in the corner of a couch. 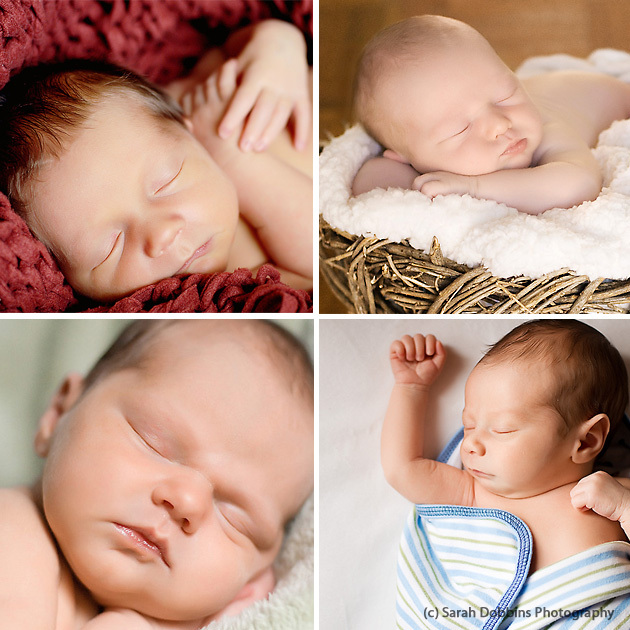 Parents might think–why newborn photographs? Why not wait until they are smiling, or until they can sit up, or at least until their eyes can focus? Part of the joy and beauty of photographing children is getting the opportunity to educate parents on the unique opportunities that await them when they choose a custom children’s photographer; specifically, a photographer that specializes in newborns. 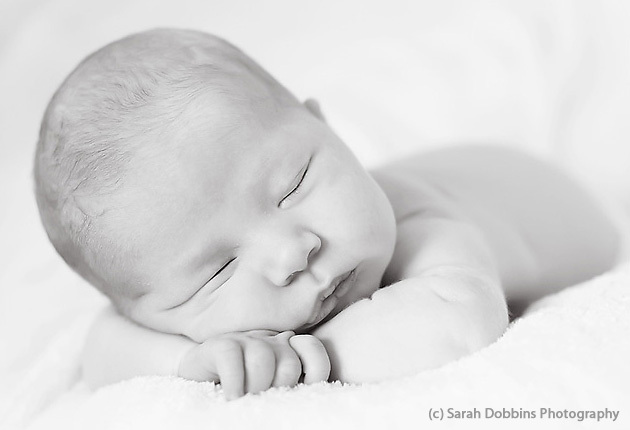 The art of newborn photography is blossoming–parents are discovering the breathtaking beauty of seeing their perfect little one in a fine-art photograph, and photographers themselves are exploring the depths of capturing the essence of a baby’s first days. There is nothing quite like the first few weeks in a baby’s life–never again will a child change so quickly, will details and qualities vanish so rapidly. It is because of the rapid disappearance of these newborn traits that most newborn photographers recommend an infant be photographed in his or her first ten days of life. Believe it or not, just a few weeks makes a major difference in a child’s development in those early days–and the goal of newborn photography is to capture the very first details of a baby’s journey in life. 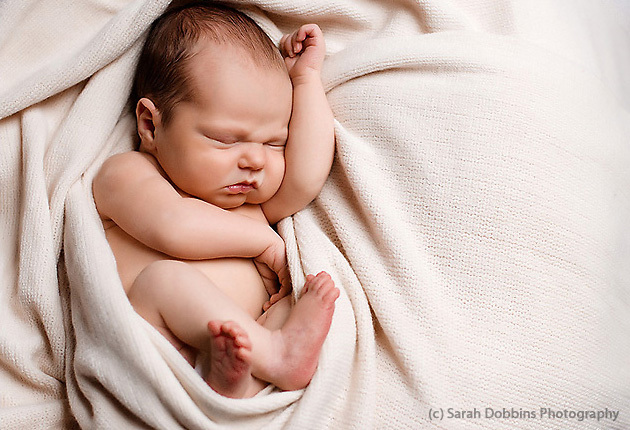 Newborn photographers are experts in recording and enhancing these details, and it’s crucial that babies are brand new–so they are still super-sleepy, and they still like to maintain their favorite position, the “curl” that they had in their mother’s womb. What is a newborn session like? Custom children’s photographers who specialize in newborns will often photograph infants asleep, and almost always with a diaper only or in their bare skin. They are masters in lulling and keeping baby asleep, and using creative techniques in posing and arranging to provide you with magical images of your young one at his or her tiniest. Being a new mom is hard. It’s tiring, it’s demanding… but all mothers know it is also one of the most beautiful and divine experiences in the whole world. It is the newborn photographer’s goal to enhance these sublime first days by expertly carrying out the session and rewarding moms with a gorgeous record of the experience in the form of fine-art prints, canvases, or my personal favorite, luxurious custom albums. Some photographers even provide clients with professionally designed custom birth announcements. Every newborn photographer has their own way of approaching these new little clients–and their mothers–but the common theme is simplicity and grace. I have had so many clients exclaim, “but it was so easy!” in surprise at the conclusion of a session. As you can expect with any newborn photographer, my newborn sessions are always very quiet, very relaxed, and very peaceful. Your photographer may have a studio, or they may prefer to come to you, in the quiet atmosphere of your own home. I prefer to travel to my clients–I bring everything with me that I need, and I fully expect a messy house! Your session will probably last 2-3 hours; newborn photographers are experienced in the ways of brand-new infants, so there is always ample time for nursing and changing. 1. avoid distracting clothing–the birthday suit or a plain cloth diaper is best, or a close-fitting onesie. 2. think warm–turn up the thermostat or get a space heater so your baby doesn’t get chilled while you shoot. 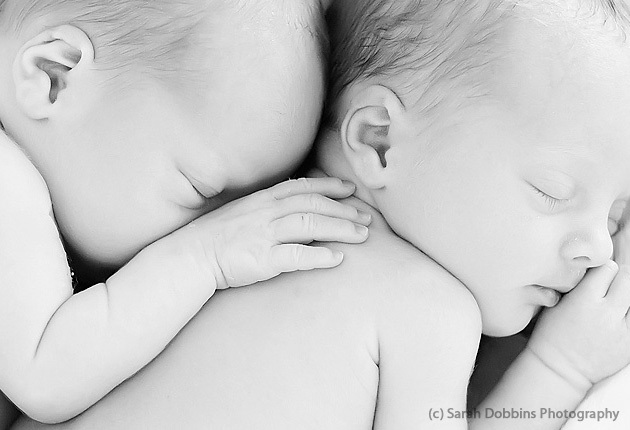 3. feed your little one before photographing–they will be more content and more likely to snooze and snuggle. 4. find even light–try to avoid direct sunlight or overly dark rooms. find a room where windows are letting in lots of indirect light. 5. try posing baby on a soft pillow or beanbag, covered in a soft, textured blanket. 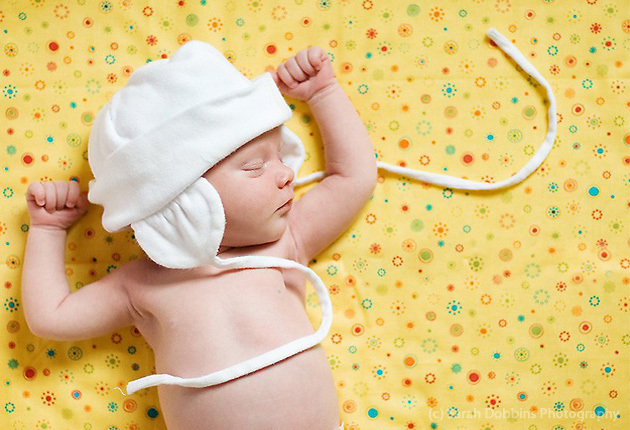 6. don’t be afraid to try creative angles or ideas–try a knitted hat or a colorful swaddling blanket. 7. don’t forget the details! be sure to capture the little toes, little fingers, little swirls of hair, and the sweet wrinkles in baby’s skin. Making the decision to capture your little one’s very first qualities, choosing to preserve your child’s very first days–investing in newborn photographs for your little one is something you will never regret. It is time you can’t get back, a brief snapshot in your child’s life that is so unique, and so evanescent, and so important to remember forever; your images will be treasured not only by you and your loved ones, but by your baby himself as he grows, and for generations to come.